CLINUVEL PHARMACEUTICALS LTD [ASX: CUV; Nasdaq International Designation ADR: CLVLY; Xetra-DAX: UR9] today announced that it will meet with the US Food and Drug Administration (FDA) on 7 November to formally discuss lodging its new drug application (NDA) for the novel drug SCENESSE® (afamelanotide 16mg). The pre-NDA meeting will focus on finalising requirements for filing SCENESSE® with the FDA for the treatment of adult patients with the rare genetic disorder erythropoietic protoporphyria (EPP). 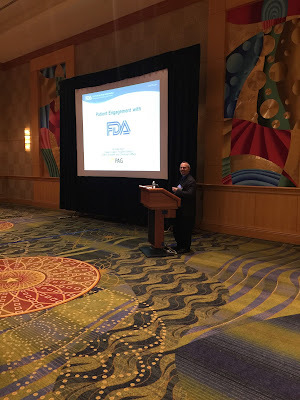 The pre-NDA meeting, with the FDA’s Division of Dermatology and Dental Products (DDDP), is part of ongoing dialogue between CLINUVEL and the FDA since CLINUVEL commenced a clinical program for EPP in 2006. Earlier this year the FDA granted SCENESSE® Fast Track designation, enabling – among other benefits – a rolling review of the NDA dossier. The FDA also completed an initial review of CLINUVEL’s clinical data package, deeming it satisfactory and sufficient for NDA submission. On 24 October the DDDP will host an EPP Workshop to obtain the patients’ and physicians’ perspective on certain disease areas, including the effectiveness of treatments. SCENESSE® is the first treatment ever evaluated in contemporary clinical trials for EPP. The drug provides photoprotection to EPP patients who suffer from acute reactions to visible light and sun (phototoxicity). In 2014 SCENESSE® was approved in Europe for the prevention of phototoxicity in adult EPP patients, with the drug now prescribed in a number of European countries. A swollen stomach made her look pregnant, but the pain — “burning,” “shocking,” “horrible,” “out-of-this world,” as she describes it — was worse than childbirth, leaving her doubled over and gasping for breath. Symptoms came and went, seemingly at random. Vomiting. Constipation. High blood pressure. A racing pulse. Numbness in her hands. Paralysis in her right foot. Lisa Kehrberg spent several days in a hospital, but every test came back normal. And the doctors began to wonder if perhaps she had been under a lot of stress lately. Kehrberg had been sick before. The first bout came 22 years ago, when she was going to high school in Bartlesville. Another one hit during college, when she was briefly hospitalized with abdominal pain. But it wasn’t until September 2013, while she was working as a doctor for U.S. Department of Veterans Affairs in Chicago, that Kehrberg finally demanded answers. Released from one Chicago hospital without a diagnosis, she checked into another one. Did the doctors there think she was a hypochondriac? The second hospital did all the usual tests, with the same results. “Normal.” Why not try something different? Kehrberg remained undiagnosed until a hospital nurse noticed that her urine had turned dark brown, a classic symptom of a rare genetic disorder called Acute Intermittent Porphyria, by some estimates afflicting less than 0.0001 percent of the population. Kehrberg had heard of it herself but never considered the possibility. While not curable, the disease can be controlled to some extent by diet and medication. More than a year later, Kehrberg now speaks as an advocate for people with Porphyria and other rare conditions. And she came back to Oklahoma recently for a fundraiser at her parents’ ranch near Pawhuska. SOURCE Article by Michael Overall. The FDA Meeting for EPP is just around the corner! The FDA has distributed additional information for all registered attendees. The check in process is lengthy, so everyone needs to be sure to arrive to the FDA at 9AM on Monday, October 24th. As a reminder, the APF will have a shuttle bus available to transport attendees between the Holiday Inn – College Park and the FDA. Arriving: Please make sure to first arrive at Building 1 in order to clear security and enter FDA as a guest. Building 1 is the first building you see when you arrive on campus, behind the circle with flags. You will need to present a government issued ID. Once in Building 1, visitors will have to go through the x-ray and magnetometer machines and then go down a corridor to the Building 31 Great Room. The meeting will be taking place here in the “Great Room,” or Rooms 1503 B and C. There is a small portion of the path between Building 1 and 31 where visitors will be outside. There are stairs and a ramp between the buildings. We will have FDA staff helping direct visitors to the meeting room. Registration: Please plan to arrive between 9:00-9:45am. We will have sign-in sheets available on the tables inside the room. Luggage can be kept in the meeting room, either with the individual or in the back of the room. Sara and Meghana will both be in the room to help you with anything else you might need. If you have any difficulties finding the meeting room, or if there are any immediate questions you may need to ask, Meghana’s cell phone number is 772-342-1816, and Sara’s is 412-606-9445. Lunch: There is a kiosk in the foyer of the meeting room where food and beverages are available for purchase. You can pre-order your lunch in the morning before the start of the workshop; if you choose to pre-order, your lunch will be available for pick-up inside the meeting room itself (where we are planning to keep the lights dimmed) during the lunch break. Example of Past Meetings: We have conducted meetings similar to this one in the past. Please find a link to a similar meeting we held for psoriasis here: http://www.fda.gov/…/…/PrescriptionDrugUserFee/ucm470608.htm. Here you will find the webcast recording and full transcript of the meeting. Agenda: The workshop agenda is now available on the workshop webpage: http://www.fda.gov/Drugs/NewsEvents/ucm501389.htm. The patient panel will kick off the discussion in the morning, and will be followed by a large-facilitated discussion with patients and caregivers from the audience. So we encourage you to share your experience during the large-facilitated discussion portion of the workshop. The workshop is in-tended to be an opportunity for FDA to hear directly from patients, and we make every effort to make sure the voice of the patient is heard. https://www.regulations.gov/document?D=FDA-2016-N-1493-0001. Click on the “Comment Now” button in the top-right corner. You will be able to upload a PDF or Word version of your comments. If you have any questions, you can contact the FDA at megha-na.chalasani@fda.hhs.gov. We are all looking forward to this workshop! The FDA Meeting for EPP is Less Than 3 Weeks Away! The APF is busy preparing for the upcoming EPP meeting at the FDA on October 24th, 2016. We are very excited about the large number of attendees and hope even more people RSVP to us in the coming weeks. When registering for the FDA meeting, there is an option to indicate if you are interested in participating in a panel. If you have signed up to participate in the panel during the meeting, you should have received an email with a list of discussion questions from Meghana Chalasani (FDA meeting coordinator), in addition to your registration confirmation email. These questions must be answered and returned to Ms. Chalasani. The deadline to submit your answers for the panel has expired. You will be notified of your panel status at least 1 week in advance of the meeting. If you have signed up to speak at the panel, but did not receive the follow up email from Ms. Chalasani, then you are not being considered for the panel. You must contact Ms. Chalasani to receive the questions. 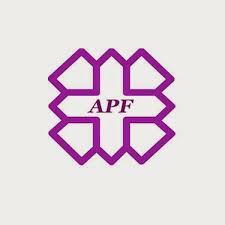 **PLEASE let the APF know if you are selected for the panel. If you are still unsure whether or not you can attend this important meeting, feel free to contact Jessica@porphyriafoundation.org with any questions/comments you have. We are excited to meet everyone in a few short weeks! As a reminder, the deadline to register for the FDA Meeting in person OR via webcast is Monday, October 17th, 2016! Have you ever felt overwhelmed during a Doctor's appointment in which you received a large amount of information? I know I have. Perhaps you didn't ask any questions at the time even though you felt you had questions once you had time to process all of the details. Your not alone. Many patients find themselves with many unanswered questions once they have a chance to look over the printed materials and digest the information. Write down a list of specific questions. Bring someone to the appointment with you to listen, take notes, and record the visit. Ask pointed questions such as: "can you please review with me again what I need to know about getting Porphyria testing done right?" 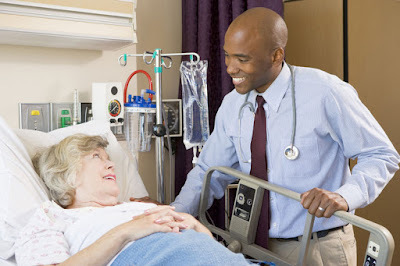 Many health care providers are using a technique called "Teach-Back" to ensure you understand what they just explained. They may ask you open ended questions rather than just expecting a yes or a no response. This is an opportunity for you to recap what you just heard which helps to reinforce the information. Have fun trying this new technique at your next Doctor's appointment! YOUR STORIES- Are you a porphyria survivor or know someone with an inspiring story to tell? 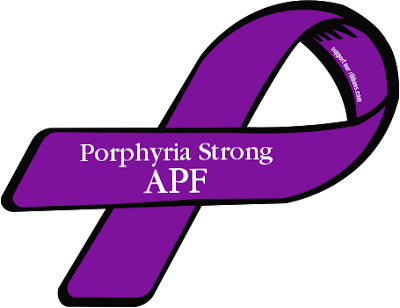 How has porphyria affected you or your loved ones? Whether it's a story, a poem, a picture, fundraising event, a picture or a painting, share YOUR story in your way. A journey to successful protection with Scenesse. Our son, JT von Seggern has Erythropoietic Protoporphyria, EPP. EPP negatively effects the liver, results in vitamin D deficiencies and causes excruciating pain – all from exposure to the sun. JT has experienced the painful effects of EPP since he was 2 years old. It took us 9 years of extensive research and numerous doctors’ visits, including a trip to Johns Hopkins to finally get a diagnosis for what was causing our child so much pain. While gaining a diagnosis was a huge relief, learning that there were no treatments and no cure for EPP quickly knocked the air out of our initial relief. Exactly how does one go about protecting their now 11 year old, sports loving son, from exposure to the sun? Through the ensuing years, JT experienced frequent pain, swelling, scarring, missed school days, and numerous rounds of Prednisone to bring down the swelling caused from exposure to the sun. Flash forward to the spring, 2015. The years of dealing with EPP and the understandable anxiety that accompanies such a cruel disease started to really take a toll on JT. By the time we picked him up from college at the end of the spring semester, it was agonizingly apparent that this cycle could not continue. In May, 2015, we asked Dr. Silverman, the doctor treating JT if there were any new developments in treating EPP. There were none in the U.S. but Dr. Silverman mentioned a promising drug containing afamelanotide. I indicated that I wanted JT on that drug and while Dr. Silverman was sympathetic to JT’s plight, he informed us that it would be next to impossible to get access to the drug for JT. At that point, the mama bear in me went into full fight mode to protect. Through a miraculous array of previous untraveled avenues, a happenstance meeting in New York, calls to Australia, Italy the U.K. and finally a contact in Zurich. JT received his first implant of Scenesse in Zurich, Switzerland on August 11, 2015. The protection that JT received from this first implant of Scenesse was nothing short of miraculous and life changing. A whole new world has opened up for JT. He only missed one day of classes due to over exposure, his grades went up across the board, and he gained back his confidence and left anxiety in the dust of his shadow. …a shadow that was made possible by the successful protection from Scenesse. The journey to successful protection with Scenesse is not an easy one, but it is the only option available until the FDA accelerates approval for afamelanotide 16 mg.
continued to be on the right path. We arrived in Zurich at 7:55 am on Monday the 11th. JT rested up and prepared himself mentally for the procedure. The hospital is just up the hill from the Tram station and off we trekked to Pavillion F in the hospital where the implant would take place. We were MUCH better at navigating this adventure since we had done this during our first trip in August. The numbing patch that Dr. Minder had given me in August to apply to JT’s side did not totally numb him so after cleaning his side with iodine, Dr. Minder gave him an injection to thoroughly numb the area. JT was called into the procedure area where we met with Dr. Minder and her assistant. Dr. Minder went over the procedure and then she prepped JT for the implant. Next up, the actual implant! After it was all done and JT was bandaged up, JT rested for a bit just to make sure he was fine to make the trek back to the hotel. We walked back to the #14 Tram for the 20-minute ride back to the stop near our hotel. JT rested the rest of the day. Dr. Minder, Rocco Falchetto and Jasmin Barman joined us for a send off dinner. Both Rocco Falchetto and Jasmin Barman are EPP patients as well and being successfully treated with Scenesse. After a good nights rest, we left our hotel and boarded our flight back to Virginia. JT’s confidence knowing he is protected from pain for another 2 months shows on his face! My question is, why? Why must we as American citizens go to such lengths to provide successful, safe protection from the sun? Accelerated approval for Scenesee (afamelanotide 16mg) is needed NOW. No EPP patient should be needlessly suffering. All this will be repeated again on March 8 for JT’s 3rd implant of Scenesse. The lengths to which one will go through to protect their child are incredible. And no EPP patient should have to endure all of this to live a pain free, healthy life.